The implementation of the Goods and Services Tax (GST) on April 1 will have a minimal impact on ticket sales for TGV Cinemas. MIRI: The implementation of the Goods and Services Tax (GST) on April 1 will have a minimal impact on ticket sales for TGV Cinemas, which operates 28 multiplex cinemas nationwide, says Chief Executive Officer Gerald V. Dibbayawan. He said cinema ticket prices in the country are still the lowest in the region, and the six per cent GST is unlikely to deter the public from going to the movies this year. "We are supportive of the GST although we are facing a challenging situation now because we have to pay a 25 per cent entertainment tax and another tax in the form of GST," he told reporters after the launch of the company's latest cinema, its first in Sabah and Sarawak, at Permaisuri Imperial City Mall here today. State Assistant Minister for Communication Datuk Lee Kim Shin officially opened the cinema, which has been operating since December last year. Gerald expressed hope the government would look into the plight of those in the entertainment industry, saying the entertainment tax would affect their earnings. The Entertainments Duty Act 1953 imposes an entertainment tax on entertainments such as cinemas, nightclubs, stage shows, exhibitions, performances, amusements, games and sports, or any other activity stipulated by the Ministry of Finance (MoF) that imposes entry fees. 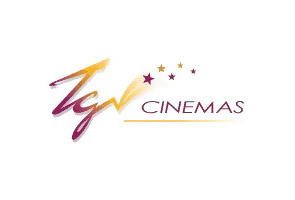 Gerald said TGV Cinemas plans to open six more cinemas nationwide including one in Kuching later this year, which will be the first IMAX cinema in Sabah and Sarawak. He said the company would expand to Sabah early next year, with Kota Kinabalu as its first location, after opening four cinemas recently -- at Aeon Bukit Mertajam in Penang, Aeon Kulaijaya (Johor), Aeon Seri Manjung (Perak) and Jaya Shopping Centre (Petaling Jaya). With the five new cinemas including in Miri, TGV Cinemas now has 28 multiplex cinemas with 225 screens and a total capacity of 39,100 seats. International Women's Day Message: How do women do it?